Our spines extend from the top of the pelvis to the base of our skulls and through the course of a normal day, it takes a lot of punishment. It’s not surprising, therefore, that many of these problems are the ones that most commonly occur in our patients and are treated with great success at ProPhysio. 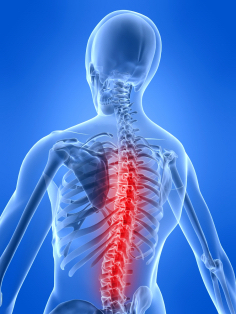 Get in touch to book an appointment with one of our team if you are suffering back problems. All the staff are very friendly, the treatment I have had has been very successful.